Ahead of the massive protest by the Aam Aadmi Party (AAP) scheduled for 16 May against the state government outside Punjab Chief Minister Parkash Singh Badal's residence in Chandigarh, Section 144 has been imposed in the city as a precautionary measure. 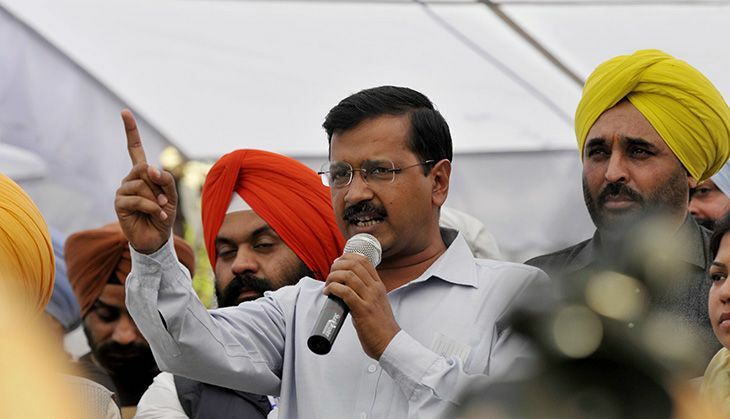 AAP has claimed that more than 50,000 supporters will gherao the Chief Minister's residence protesting against the 12,000 crore food grain scam. The leaves of all personnel of the state police have been cancelled in the wake of the protest and Badal has cancelled all his engagements scheduled for today. Badal's adviser on national affairs Harcharan Bains said that the Chief Minister will remain available at his residence to receive any political leader or representatives for discussion on any issue concerning people of the state. Describing the AAP as "a band of fugitives" and "anti-Punjab" elements, Badal has called upon the people of Punjab to beware of their "nefarious designs" and narrow political vested interest. Badal said the AAP has no definite agenda for the overall development and welfare of the state or its people. "Rather, their sole agenda is to rule Punjab by hook or crook just to satiate their lust for power," he said. Exhorting people to give another opportunity to the SAD-BJP combine to serve them and to ensure all-round development and prosperity of all sections of society, Badal said, "It is evident from its Delhi model of governance that the inexperienced and novice AAP leadership will certainly land you in the soup, rather extending a helping hand. On the contrary, the SAD-BJP alliance is trusted and time-tested in which people can repose their faith, and have confidence in its policies and programmes." "How can you expect a new political party, which has not even known the hardships faced by the people at the grass-roots level to do justice with you? The SAD-BJP alliance was an all-weather friendship, which could feel the pulse of people besides resolving their grievances to their satisfaction," said Badal. Accusing the AAP of fiddling with the sentiments of the innocent people of Punjab, Badal said this was not only deplorable but also highly unethical. He said political outfits indulging in such gimmickry should refrain from it. Why was Mahesh Babu's Brahmotsavam delayed by two years? READ NEXT >> Why was Mahesh Babu's Brahmotsavam delayed by two years?